Life has given me a lot of really crappy days lately (and not just me – I know plenty of other people having tough times…..must be something in the air) but once in awhile it also hands me something really, really great. 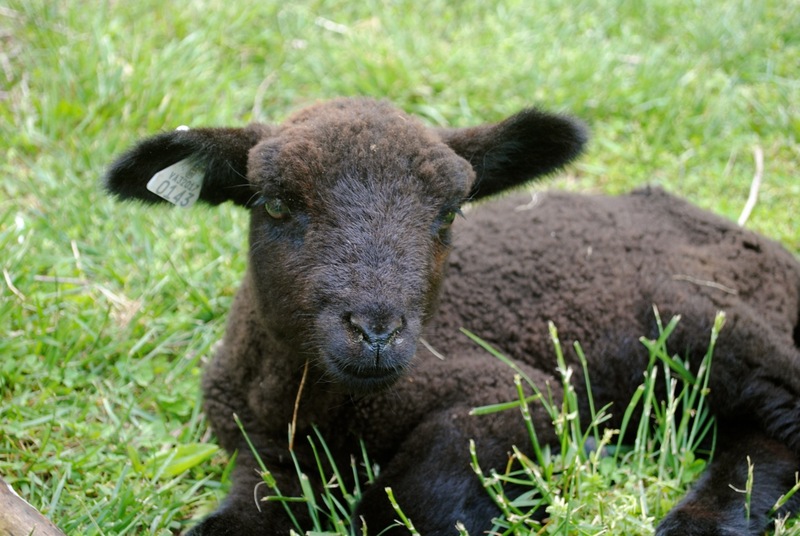 Little Mr. Darby, our House Lamb, has turned a corner! He’s been getting slowly perkier and perkier each day, and last evening started nibbling on a small amount of grain and drinking from a water bowl. It was great because I then didn’t need to get up in the middle of the night to give him a bottle. In the morning his ears perked up when I went to say “good morning” to him and he let out a tiny little “baa”. I put more grain in front of him and went for my own breakfast. A few moments later I heard his little “baa” again. When I went back, he was looking at me expectantly. He had eaten all of his grain so I gave him some more. Just tiny amounts so he wouldn’t overdo it. We repeated this process all morning until I took him out to enjoy the sun and lay in the grass. Except he didn’t want to lay in the grass. He wanted to walk! He is still fairly weak and can’t walk around a whole lot on his own, but the fact that he has started to do it gives me great hope. It will be wonderful to see him back out with his fellow lambs instead of hanging out in the craft room impersonating a spoiled invalid.